6 FOOT TALL CHRISTMAS TREE: Stands six feet tall and serves as the focal point of any room that it's placed in during the holiday season. 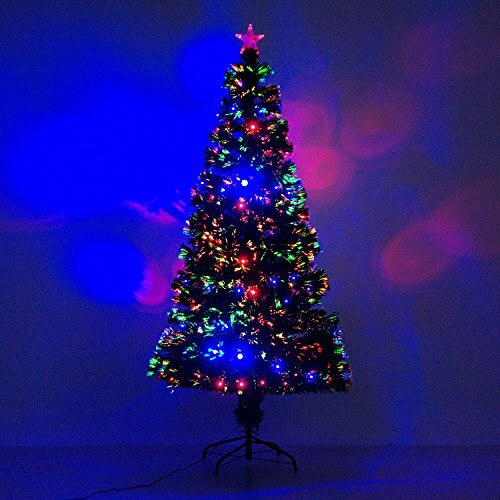 PRE-LIT FIBER OPTICS AND LED LIGHTS: Includes 230 pre-installed multi-colored LED lights and fiber optics bring a festive, welcoming atmosphere to your home. 230 FULL INDIVIDUAL BRANCH TIPS: Full-body shape is provided by plentiful branch tips for a life-like look that offers plenty of space for ornaments.